Throughout Schrade’s history they were a company that excelled in new innovations. This is evident in some of the tools they manufactured. These are of particular interest to me. The Tradesman line first appears in my 1991 Retail Price List. These are a less expensive line of knives and tools, but in my experience are very good quality for the price. I have a number of these tools that I use personally and have been very happy with them. I especially like the putty knife and scraper (TM44 & TM45) with the large sheepfoot blade in the handle. This makes an excellent tool when repairing drywall. The knife is in the handle is used to cut away the broken sheetrock and the putty knife blade is there to spread the patching plaster. Great innovation, in my opinion. I have most of the multi-tools on this list and have used them. For many years I carried a Leatherman Tool every day. After I purchased several of Schrade’s different multi-tools, I gave my Leatherman to a fellow headed to Africa. I don’t miss it. Even the less expensive Schrade multi-tools work at least as well as my Leatherman did, and are more comfortable to use. My favorite Schrade tool is the Toughgrip. I use one regularly in my shop. I showed one to my Dad and had to give him one. He carries it regularly on the farm and says it is heavy enough to use for fencing. There are two basic models of the Toughgrip, the ST6 & the ST6H. The ST6H has a small screwdriver instead of the can opener on the ST6. This tool is a collaboration between Schrade and Vice Grip. In addition to the two models sold by Schrade, there was a third model sold exclusively by Vice Grip. This model had the large locking jaws on it, similar to the current Vice Grip model #26SG. I have nothing from the Apex, Jackmaster or Diamond Edge Plus lines in any of my catalogs prior to 1989. I am not sure what the reason for this is. The Jackmaster and Diamond Edge names are old Imperial names, (Diamond Edge was acquired by Imperial from Shapleigh Hardware). The inclusion of these knives in the Schrade catalogs may have been an effort to combine the products within the Imperial/Schrade family. It is also possible that they were new products introduced in 1989. The Apex and Tradesman brands were made primarily at the Schrade plant in Ireland. 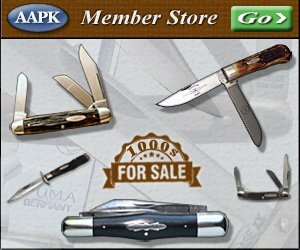 This list of tools and knives are taken from the shortline catalogs, Retail and Distributor price lists from 1973 through 2004. The shortcoming of my list is that I do not have Retail or Distributor price lists for all those years. These lists seem to be more complete and have more products listed in them than the shortline catalogs do. Someone who has the full range of Distributor or Retail price lists might come up with a few different dates, but I have to work with what I have. Here’s the result. This is a line of Swiss Army type knives made for Schrade in Germany.